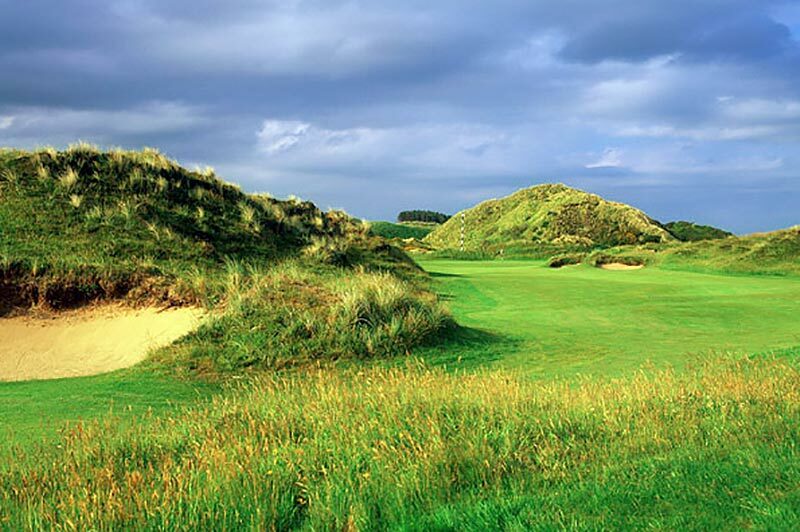 Probably my favourite links course ever. 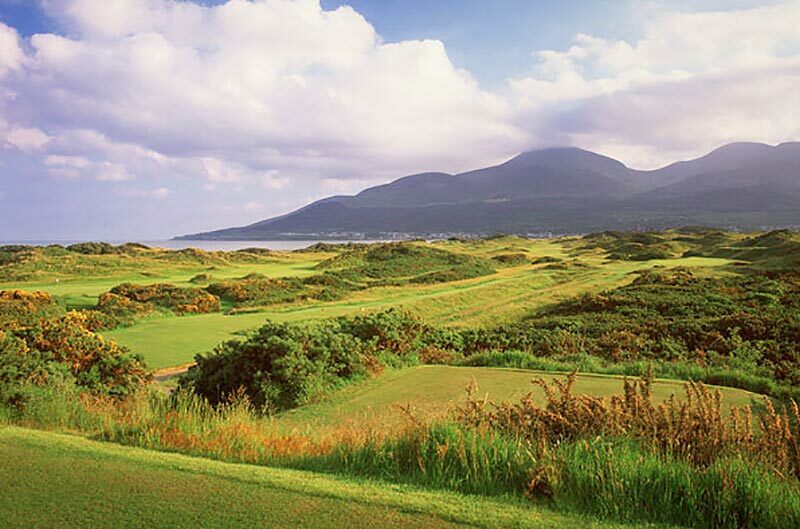 Stunning views over Northern Ireland on every tee box. Tee boxes are perfect, as too the greens and fairways. 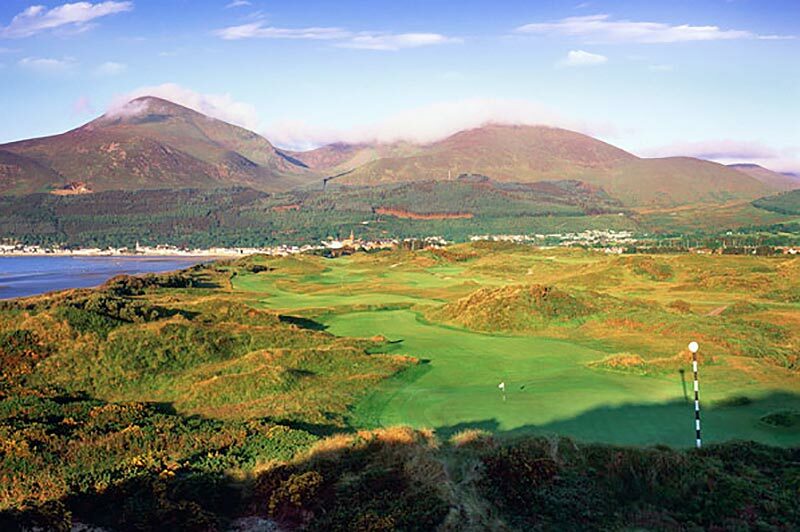 Very tough in the wind, as proven in last years Irish Open. You can hit a 5 iron 120 yards one time, then a PW 180 yards. Great holes are at 9 with a blind tee shot and an approach into a raised green, the must-make birdie at 11, and there's a lovely finish at 16, 17 and 18. Friendly staff at the bar and clubhouse. 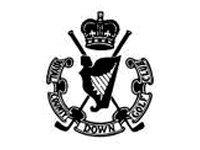 To many, the Championship course at Royal County Down is simply the best golf course on earth. Tom Watson said, "It is a tremendous test of golf and the outward half especially is as fine a nine holes as I have ever played." It's quite simply spectacular. 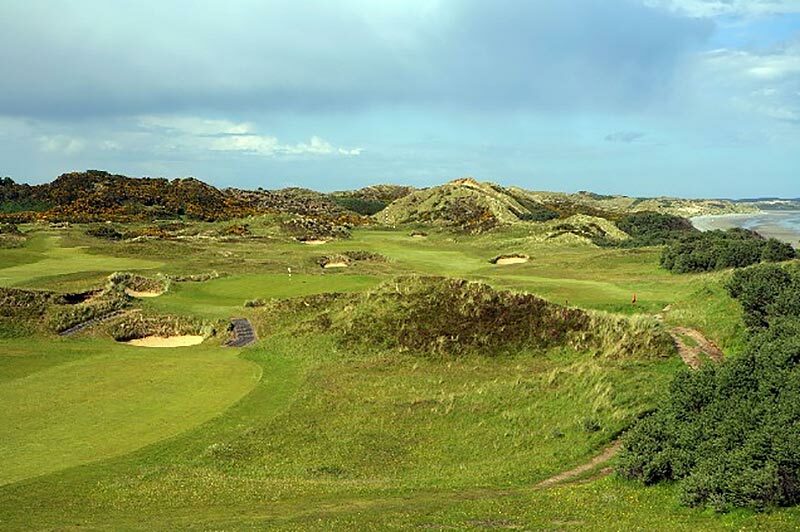 There are towering dunes, wonderfully elevated tees, a sprinkling of blind shots, true but terrifying greens, long par fours that are comfortably out of range in two for the average hacker and a massive amount of trouble including great clumps of heather, grisly gorse and penal rough. Enjoy!